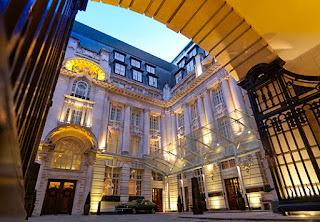 The Chancery Court Hotel is a 5-star luxury hotel in central London. We do not usually recommend expensive hotels, as money can be better spent on other vacation indulgences. But considering the high prices for regular hotels in London, this special rate of 165£ per night, breakfast included, from Secret Escapes is a good offer indeed. 2 nights over the week-end 17-19 May 2013 have a total price of 330£ from Secret Escapes, for a deluxe room, breakfast included. The same room costs 527£ from booking.com. Offer valid for reservations until 10 February 2013 (for stays until 2 June 2013). The purchase is non-refundable, so book only when you are sure of your travel dates.